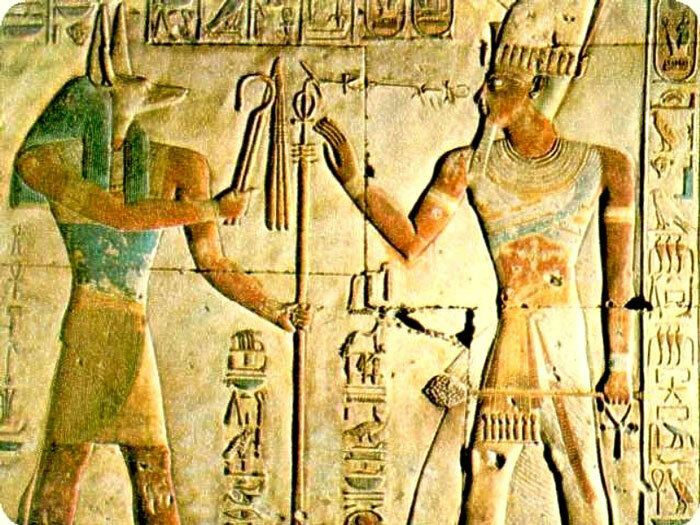 King Khafra built the second pyramid on the Giza Plateau of smaller, poor quality, limestone blocks. It appears larger than the Great Pyramid of Khufu as it is built on an elevation that was about 10 meters or 33 feet higher than that of King Khufu's pyramid. It was originally 143.5 meters or 470.7 feet high but is now 136.5 meters or 447.7 feet high. Each side of the square base measures 215.25 meters or 706.02 feet and the sides rise at an angle of 53º 10'. The original plan was to cut a subterranean burial chamber and build the pyramid over it. The burial chamber, however, was moved to the south underneath the pyramid. The pyramid has two entrances and two descending passages on the north side, one leading to the burial chamber from the ground, and the other opening 16 meters or 52.5 feet higher. 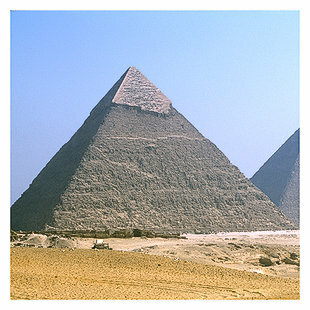 The apex of the pyramid still retains its original polished, white limestone casing. Some of the outer lower parts still show their granite casing. The pyramid has lost its capstone. Khafra's sarcophagus is made of grey granite and is half embedded in the very thick paving that once covered more of the chamber's floor.